Kingdom of Dreams is a complete world of entertainment and leisure destination for you and your family. It is a joint venture between Apra Group, Raghbeer Group of Companies and Wizcraft International Entertainment Pvt. Ltd. It is founded on 1 March, 2008. Kingdom of Dreams is spread over 6 acres of land in Gurgaon . Total cost to build this project is Which is being spread over 6 acres in Gurgaon area of Delhi- NCR. It is situated in between triangle of Delhi, Jaipur and Agra. It has been built at a cost of over Rs. 200 crores. According to the sources, KOD is being run by the famous, Great Indian Nautanki Company (GINC). If you want to contact Kingdom of Dreams for any query, offers, events information or any other inquiry, you can use below given contact details of Kingdom of Dreams. Here we are sharing Kingdom of Dreams address, location, phone number, email id, fax number, social profiles, official website link and some of the important and useful links of their official website. Kingdom of Dreams is a complete entertainment and leisure destination. Some of the entertainment shows and places within the Kingdom of Dreams, which you’ll definitely love are Nautanki Mahal, Culture Gully, Showshaa Theatre, Zangoora, Jhumro and some of the famous concerts of KOD. There are 14 entertainment destinations within Culture Gully, here you can watch live entertainers, here are 6 live kitchens and more than 250 dishes from all over India. Some of more entertainment destinations with Delhi and nearby places, which you’ll definitely love are – Appu Ghar, Worlds of Wonder, National Science Centre and many more. Check out the official contact details of Kingdom of Dreams below. Here are the official contact details of Kingdom of Dreams. For any query, support, queries, ticket price, offers or any other concern, you can use thse details to contact the helping staff. You can also mail your queries at the email addresses provided above. Email ids according to department are provided here. Public transit to reach Kingdom of Dreams is Metro Station. 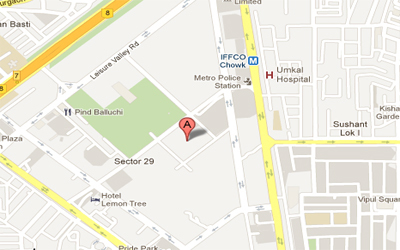 According to Google maps, nearby metro station to reach Kingdom of Dreams is IFFCO Chowk Metro Station. Kingdom of Dreams also gives free shuttle service for there visitors to IFFCO Chowk metro station after every 15 minutes. This is location map of Kingdom of Dreams. This screenshot is taken from Google Maps and you can use this image to reach the destinations with your own vehicles. You can also search Kingdom of Dreams on Google Maps app and get the exact route to reach there. 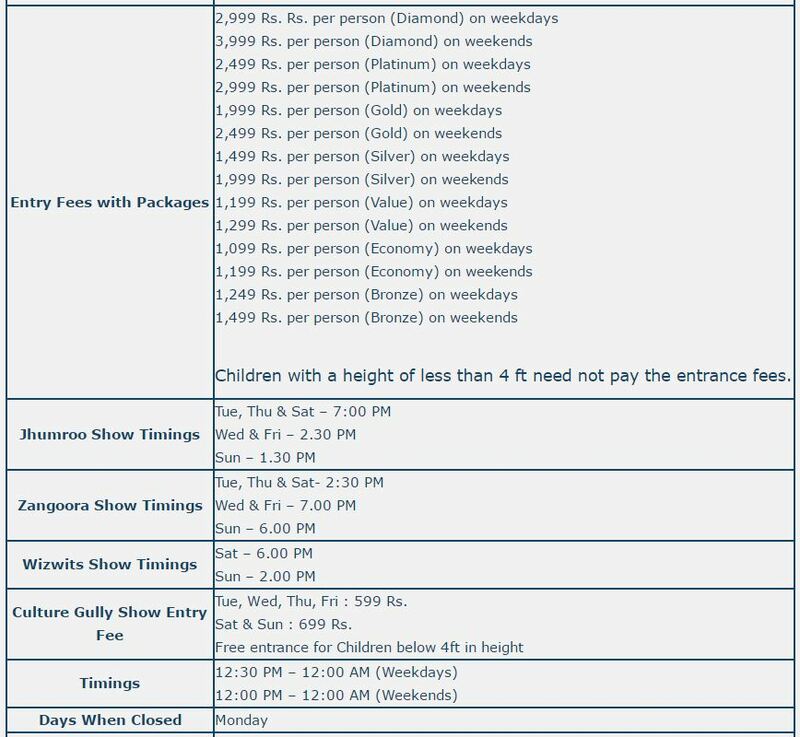 These are the entry fees of Kingdom of Dreams with weekday and weekend packages.Show timings of different events running in Kingdom of Dreams are shown here. Visit this link to reach the official website of Kingdom of Dreams. All the information related to shows, events are updated here by their officials. You can also book online tickets on their official website. Follow Kingdom of Dreams on social networking websites and get latest photos of events and shows. To work with Kingdom of Dreams as an employee. You must visit this page. If you have lost or found something in the premises then you must visit this page to communicate with the official representatives of this issue. To book online tickets of Kingdom of Dreams of different shows along with packages, visit this link and fill all the information. Your tickets will be mailed to you and show these tickets at the time of entrance. 1. Children below the height of 4 ft. are allowed to enter without ticket inside. Free entrance for this category. 2. Amount charged by KOD is totally non refundable. 3. No weapons and other objectionable objects are allowed inside the premises. 4. To top up your Smart Card you can only use cash inside KOD, no cards are allowed to do so. 5. Outside foods, eatables and beverages are not allowed inside. 7. Coupons 0r smart cards will not be cancelled, exchanged or refunded after purchasing it once from the counter. i am Navneet rana 4th year architecture student. I want to case study on kingdom of dreams theatre. so, what is the procedure to do so. I m from Rage Fashions, I have dues more than 2.5 lakhs , I have supplied cosmetics to your office, but my payment is not cleared, please help me out.